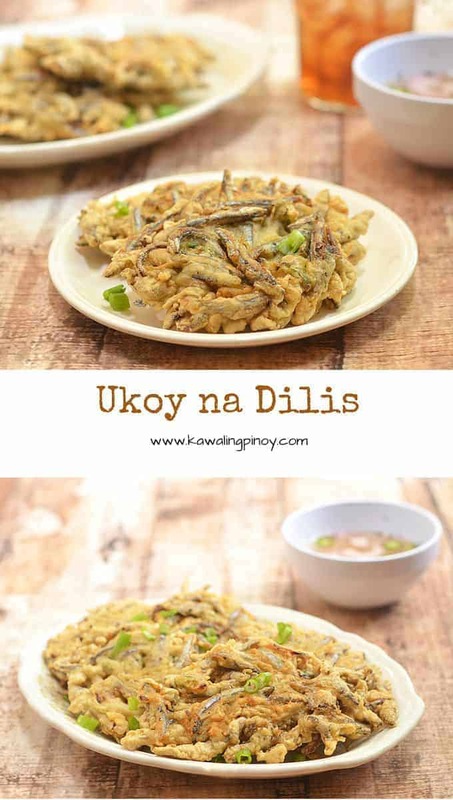 This ukoy na dilis is the third on our list of ukoy recipes but while the previous two use a variety of vegetables and shrimp, anchovies are the star in this latest version. 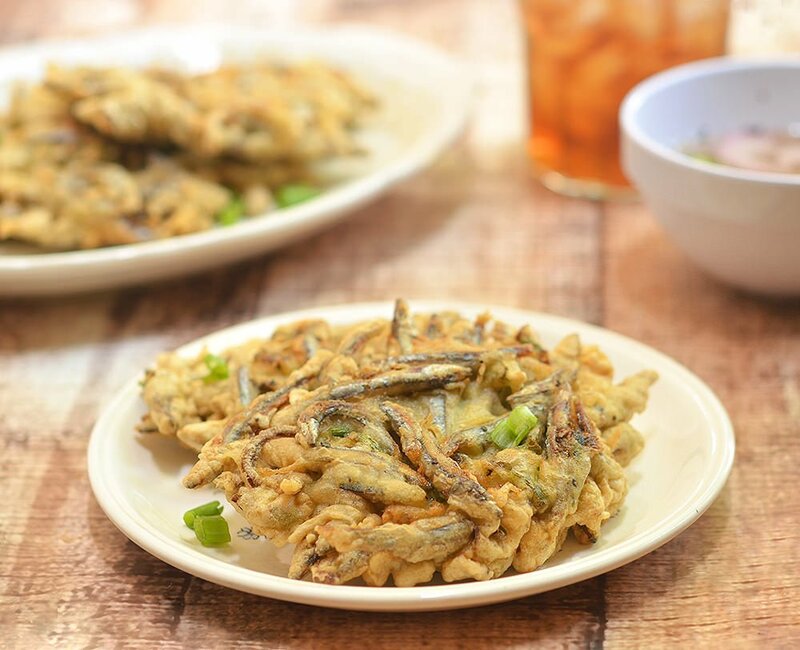 Although I go through the painstaking trouble of cleaning smelt fish when I prepare them deep-fried, dilis are far too small for their insides to leave a significant bitter taste. Besides, have you ever tried cleaning a hundred or so of this fish? Forget about it! 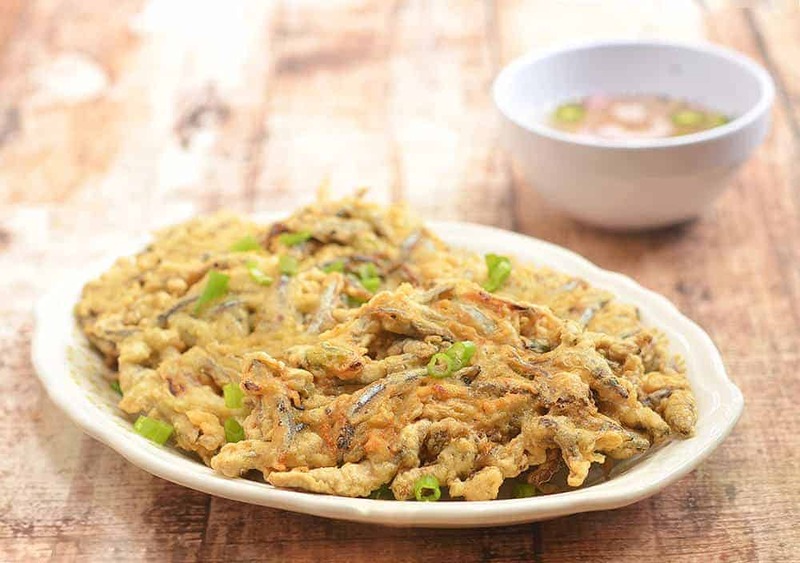 While togue and kalabasa ukoy are commonly served as a midday snack, ukoy na dilis is more of a viand. In a large bowl, combine egg, cornstarch, flour, water, fish sauce, salt and pepper. Whisk together until well-blended and smooth. Add fish, shallots and green onions. Gently stir to combine. In a large skillet over medium heat, heat about 2-inch deep of oil to about 350 F. Using a large spoon, scoop about 2 to 3 tablespoons of the mixture and gently slide mixture into hot oil. Cook for about 3 to 4 minutes on each side or until golden brown and crisp. Do not overcrowd pan, cook in batches as necessary. 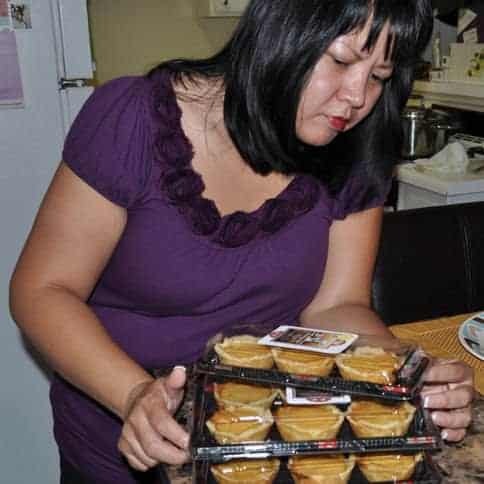 Using a slotted spoon, remove from pan and drain on a wire rack set over a baking sheet. For best results, serve immediately.